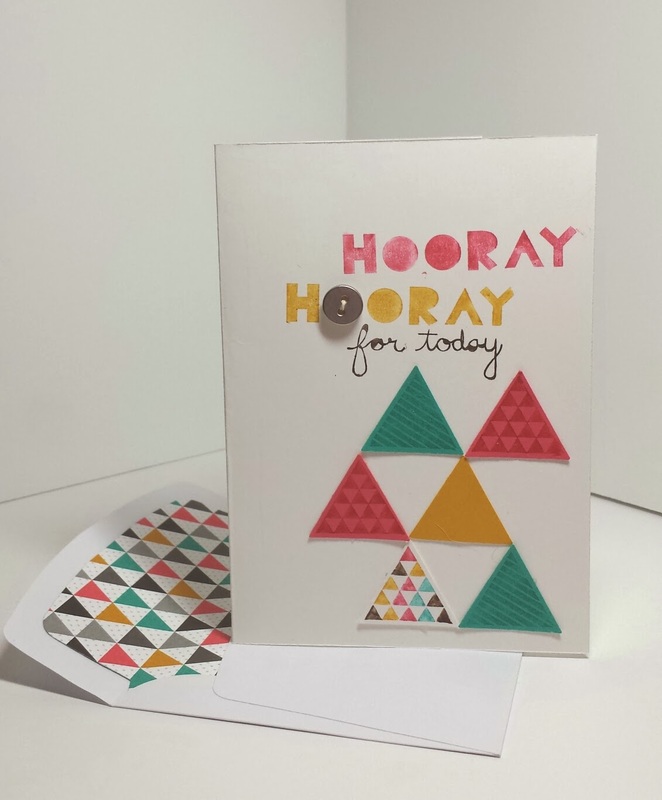 papermadeprettier: Occasions Catalog Launch Party, project #1 - Hooray for Today, Geometrical Kaleidoscope Card -AND PRIZES!!! Occasions Catalog Launch Party, project #1 - Hooray for Today, Geometrical Kaleidoscope Card -AND PRIZES!!! Welcome to my 2014 Occasions catalog launch party! 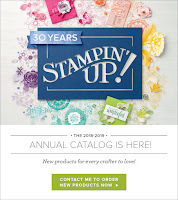 I'll be wowing you ALL DAY with fabulous projects from the Stampin' Up Occasions spring/summer catalog released today. Stay tuned for prizes and FUN all day! 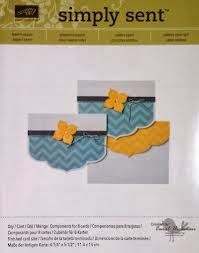 there are 4 fabulous suites of products in the catalog and this is the Kaleidoscope Suite of products showcased in this simple yet stunning card. I'm not ashamed to say I cased it directly from the catalog because I loved it so much! Cut whisper white 5" x 7" and fold in half. Stamp patterns on solid papers (tone on tone) and punch with triangle punch. Color multicolored triangle with markers on whisper white scrap and punch with triangle punch. Align triangles starting at bottom. Color "Hooray for Today" with crushed curry and black and stamp (tucked into the triangles for the "today" part). Then clean and color the "hooray" with strawberry slush and stamp above and to the right of the original "hooray". Unravel gold baker's twine and thread through button on front, adhere with glue dot to the "o". Cut envelope liner and tuck into corresponding envelope. Tell me what you love about this card in the comments section of this blog entry OR tell me your favorite Occasions 2014 catalog item on this blog entry and you will be entered into a drawing for a free simply sent card kit (Everything inside to make 8 fabulous cards!). Winners will be announced at 9:00am, 12:00 pm 3:00 pm and 7pm, so stay tuned!!! Watch the blog for the winner announcement because I will need to get your mailing info to mail you these fab prizes!!! 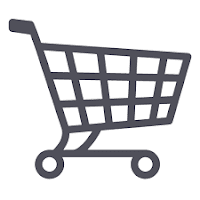 Shop 24/7 for stampin' supplies in my online store, here! 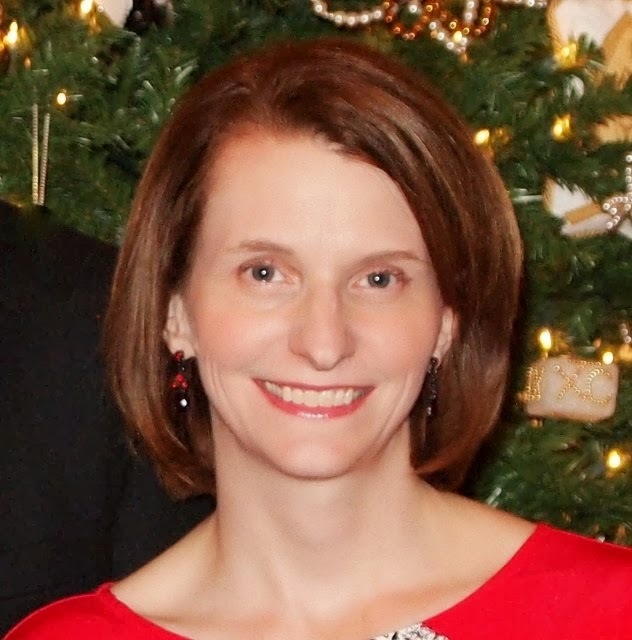 Find my Central Arkansas upcoming events!